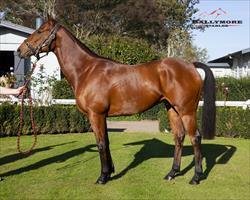 11.55 a.m. R1 12 Recension (2 f Dalghar – Rave Review, by Royal Academy) – Tina Comignaghi (a2); did well for a break after trialling in February and March at Taupo, for second and fourth respectively to subsequent stakes winner Santa Catarina (Savabeel). Following a jump out, she debuts in the $22,500 2YO 900 metres. A natural running type, her dam won here over 1200 metres and has also left five time winner Fire Jet (Tavistock) who lines up in race 7 (3.24 p.m.). With weight relief to 52kgs, there are enough factors in her favour to suggest a solid first up performance from barrier five. Fixed odds: $7.00 & $2.35. 3.59 p.m. R8 9 Avec Moi (4 m Pour Moi – Fuji Belle, by Fuji Kiseki) – Tina Comignaghi (a2); continued racing well when finishing third in a good form race on 15 June at Te Teko, the NZB Insurance Pearl Series Rating 65 1600 metres. Drawn barrier four and claiming to 55kgs in the $22,500 Rating 65 1600 metres, she has the ability to go well if appreciative of the course at her first attempt. Fixed odds: $15.00 & $4.50.